An essential piece in any living room, the sofa is a fantastic place for families to come together to sit, chat and relax after a long and tiring day. 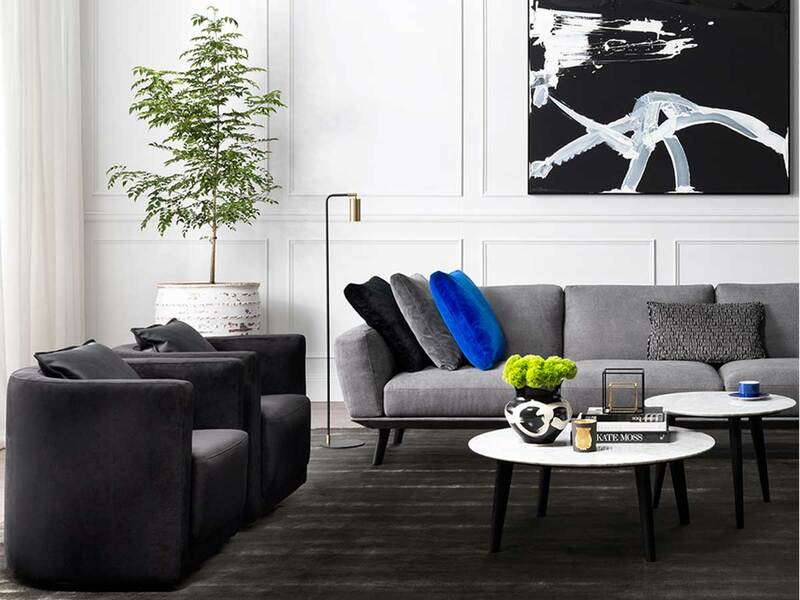 So when it comes to purchasing a new sofa, it is crucial to keep in mind certain factors to ensure that your loved ones get nothing but the best – especially in terms of style, functionality and comfort. Read on to learn more about what you should look out for when you choose your next sofa. As most families tend to gather on the sofa to bond over long chats or their favourite television shows, it is vital that the seats provide proper support for maximum comfort – even over an extended period of time. 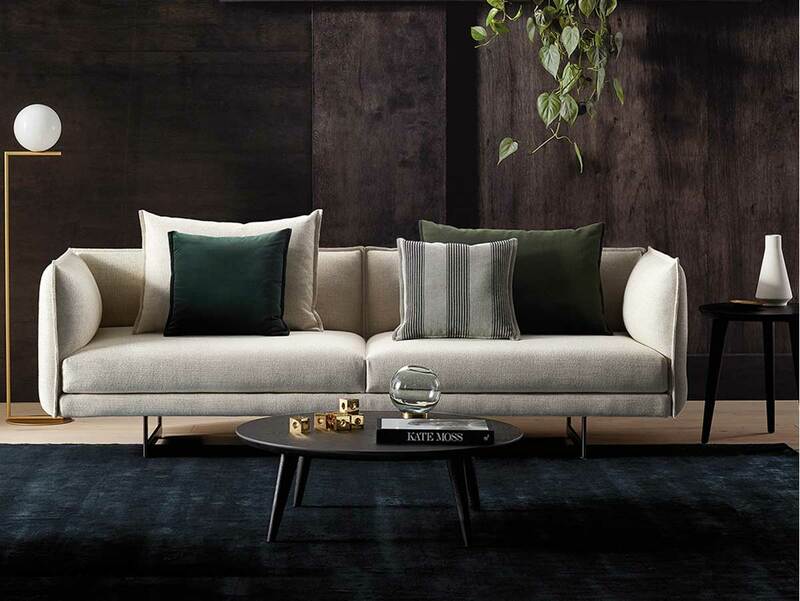 Made with a galvanised strengthened steel frame, as well as the complementary PostureFlex Seating System, all King Living sofas are engineered for ultimate comfort and support. Additionally, the pocket spring system, memory foam and feather overlay help to ensure optimum comfort for a better family bonding experience. A key investment in any home, the sofa should be long-lasting. A sturdy frame is incredibly important in this aspect, as it determines the durability of the sofa. Although some may go for cheaper alternatives, investing a bit more in a well-built sofa is definitely more convenient and cost-effective in the long-run as it saves you the trouble of having to replace the sofa every few years. High-quality sofas like the King Living Neo, King Boulevard and Zaza are hard-wearing pieces equipped with precision cut PostureFlex steel frames that provide a strong foundation, maintaining the look and structure of the sofas over many years. What’s more, all King Living sofas come with a 25-year steel frame warranty. In the search for the perfect sofa, one should definitely consider the needs of the family. The perfect sofa should be able to comfortably accommodate the whole family and some potential guests. Aside from the size, a rule of thumb for picking out the perfect sofa is to consider its purpose, usage, as well as the desire or need for any additional features. The modular nature of King Living seating allows users to tailor the sofas to suit their ever-changing needs.You can choose from a range of packages with the Neo sofa, which comes in the classic 3-seater, high back or a large modular package with a chaise and ottoman. Likewise, the King Boulevard can be configured as a traditional two or three seater sofa, classic modular sofa or chaise. The arms and backs of the Zaza sofa are easily detachable and a standard 2- or 3-seater frame can be joined together in various configurations. On top of that, the Zaza 2-seater sofa could even be turned into a bed. 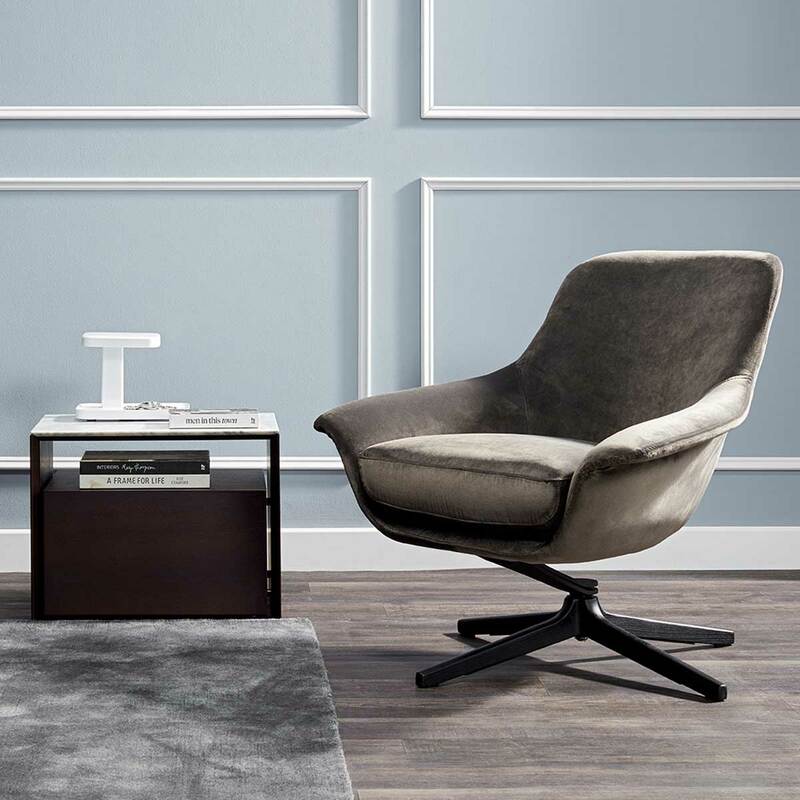 For extra seating space, the Seymour chair by King Living is a great option. Amazingly flexible, the handsome chair comes with design options that include a swivel or fixed base, three different back heights, and an optional footstool. In modern society, sofas are not just functional furniture. Instead, they have become a statement piece for the living room, transforming the entire space with their stylish silhouettes. Thus, it is crucial to consider how the sofa will match your existing or desired interior. From the sleek and minimal Neo to the luxurious King Boulevard and the unique Zaza, King Living’s designs are effortlessly elegant and ideal for both contemporary or traditional interiors. Homeowners even have the option of personalising their sofa with customised seat covering. There is nothing worse than a beautiful sofa marked with permanent stains. While the damage to most sofas may burn a hole in your pocket, King Living’s care services allow you to keep your fabric and leather sofas water and stain resistant. That said, all King Living fabrics collection has been rigorously tested for seam strength, abrasion resistance, colour fastness to light and general wear-and-tear. You can also choose to protect fabric seats with King Guard fabric protection to extend the lide of your furniture. This stain-repelling guard will be able to protect your fabric sofas for up to 18 months. 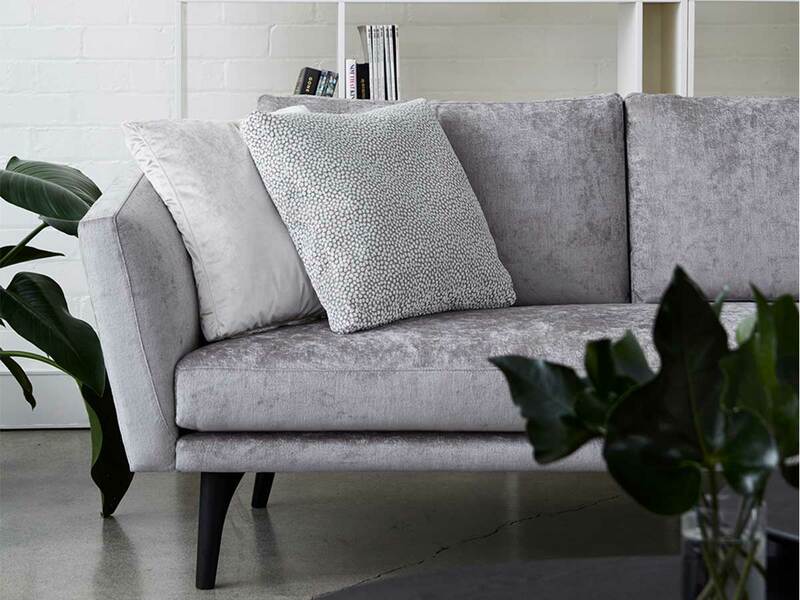 As for leather seats, King Living has developed the King-Care cleaning and conditioning range to protect and maximise the life of your stylish sofa. This post was brought to you by King Living.